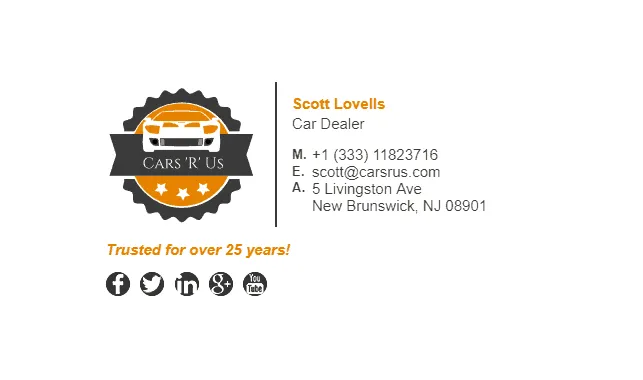 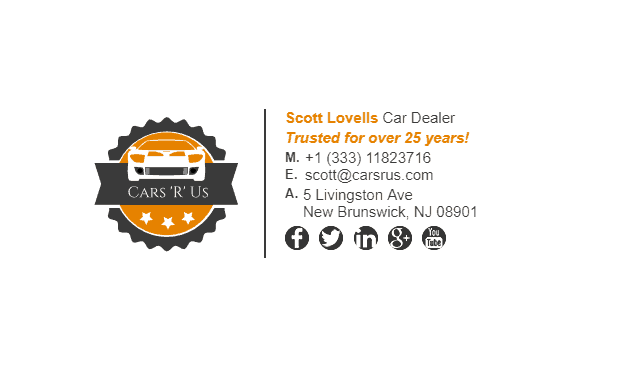 Car salesmen should always have an email signature, as it increases trust and also credibility. 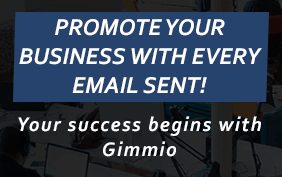 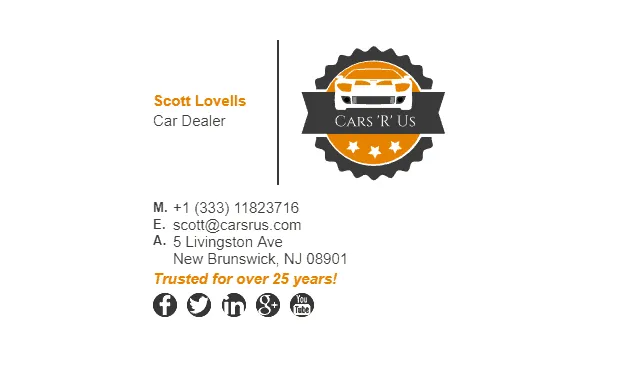 In a car salesman’s email signature, you would list any accreditations or any industry groups that you are a part of and also any sales targets you have achieved in the past. 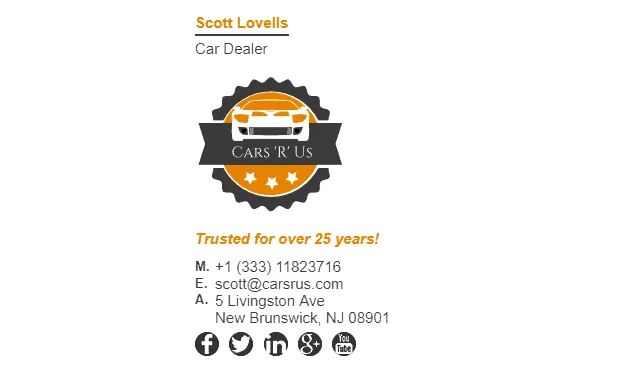 Anything that creates trust or credibility in an email signature is a good thing. 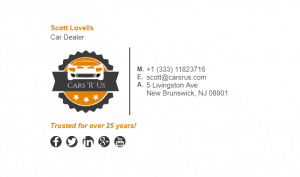 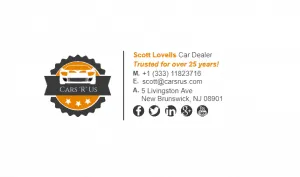 We have a great selection of car salesmen email signature examples below that will hopefully give you some ideas for what it should contain and how it should look. What Should Be Included in a Car Salesmen Email Signature?